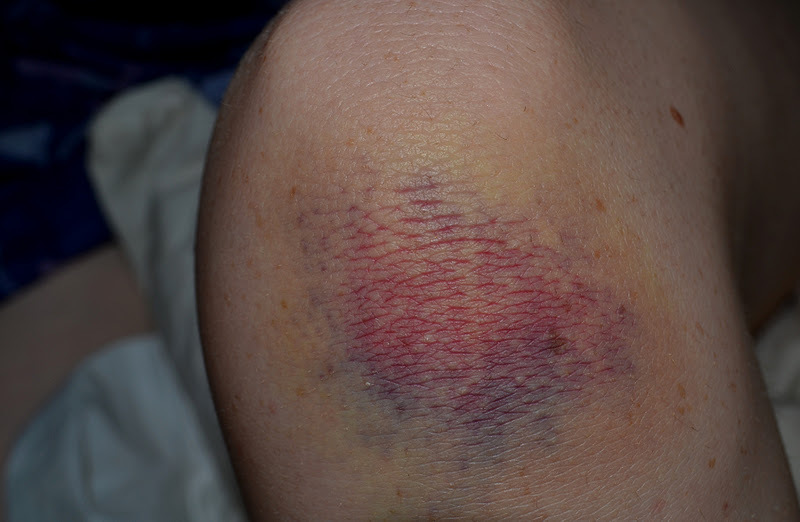 MINNA GILLIGAN: "I once won a twist contest"
I have absolutely nothing of any value or importance to say other than "DUDE LOOK AT MY BRUISE" Marvel at those colours, it's sheer size, the little veiny bits... it sort of looks like one of my drawings. Looking at injuries is kind of like slapstick comedy, a really base form of entertainment which is fine in moderation, I guess. So, numb your mind and stare into the abyss of ruptured blood vessels - a first for this blog. Haha, thanks, I think.. makes me feel squeamish looking at it plus I hate the word squeamish so that makes it worse, ha. Oh, onomatopoeia!